A New Year always seems to be an opportunity to reflect on what we hope to achieve or do differently. But to turn your plans into reality takes determination, motivation and focus! When it comes to blogging it really helps to feel all fired up. 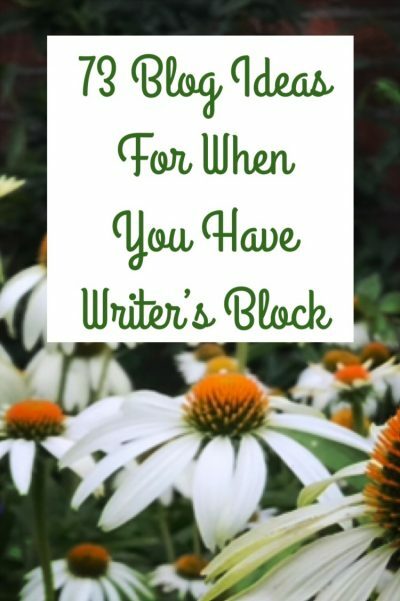 Especially when you want your blog to make a lasting difference. I've written about blogging motivation before but in this post I'd like to show you two new ways to inspire your blogging activities. And you never know, one of them may even make you feel better about your place in the blogging world. I mention this because blog writers often worry that their posts are just a tiny drop in the ocean of posts online. And it's true, millions of posts do get published every day (2.73 million on average every day, according to the Quora site). So you could be forgiven for wondering whether it's all worth it in the end. But trust me, it is! So from today, whenever you feel a little doubtful or lack some motivation and focus, just give yourself a little energy boost. Nine years ago in early January I used the one-word technique with my business clients for the first time. I asked them to describe the previous year in just one word. I then invited them to come up with another word for the New Year. Most people find this very powerful and we now do it every year. It was a very popular exercise on Instagram last week. Lots of people I'm connected to shared their word on their account, and some also blogged about it. My own word last year was “simplicity”. When I applied it to my blogging it helped me to come up with easier alternatives to always starting from scratch with new blog topics. Here are just a few examples of words I've seen other people  choose. Innovation, fun, growth, consistency, creativity, calm, visibility, connection or fulfilment. I can think of loads more. You may find that when you know your own special word, setting a strong intent around it can be enough to give you motivation and focus. And if you like having a visual reminder as the year progresses you could simply write your word on a sticky note. Then place in a strategic place in your office or writing space. Or cut out an image from a magazine that represents your word. I always use my word as a screen saver! It seems to me that many people who have good things happen to them, make good things happen for others. Indeed some of these people will always bend over backwards to help someone else. Whether they are a colleague, client or an online follower. It can feel a bit odd to help someone who has never helped you before. But spreading good will and positive energy will inspire you. And whilst people don't always reciprocate, the way karma works is that good things can come back from anywhere! 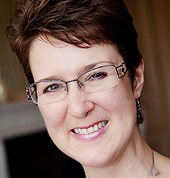 So how about introducing a regular karma exercise into your blogging? For example, you could contact another blogger on social media who you haven't been in touch with for some time. Find out how they are getting on. Or leave a positive comment on one of their posts and share their blog with your own followers. When out networking, ask people if they blog and then be sure to follow their blog. Again comment or, if their topic is suitable, why not invite them to guest blog for you? 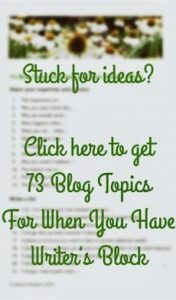 There are lots of ways you can help other blog writers! 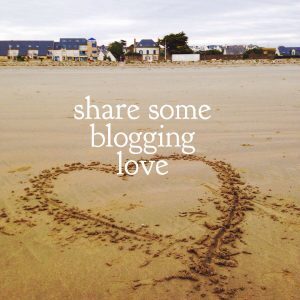 So go on, why not decide on your special word and start sharing some blogging love too? You will increase your motivation and focus and you never know what good things will come back to you! Ps. Would you like to share your chosen word here? Or let us know if you can you think of more ways to help other blog writers?